Star Tours: The Adventures Continue is a over a year and half old in the United States but it’ll only be a matter of time before the Force will reach Tokyo (2013) and Paris (rumored shortly thereafter). We thought it was as good a time than any to speak with the Animation Director of our favorite Star Wars attraction, Glen McIntosh, who has been working at Industrial Light & Magic for the last fifteen years. His first film appropriately enough was Star Wars: Episode 1: The Phantom Menace, so he is no stranger to the Star Wars Universe. 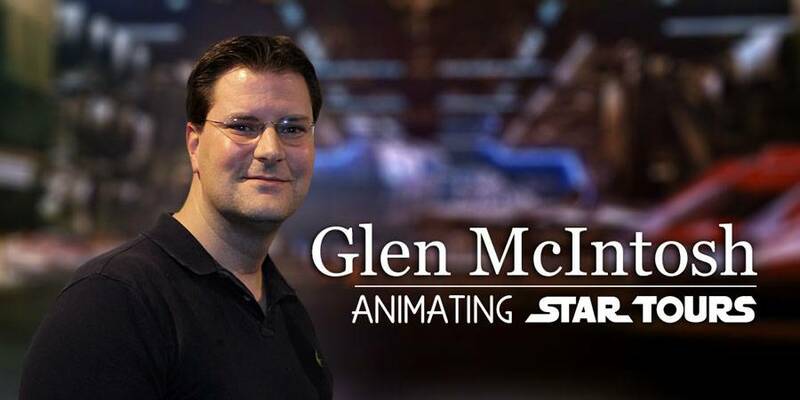 Glen also recently finished work on the upcoming Star Trek film as well as new film Pacific Rim by Guillermo del Toro. EndorExpress took a trip to San Francisco recently to the offices of ILM and reminisced about the recent changes to Star Tours among other things.